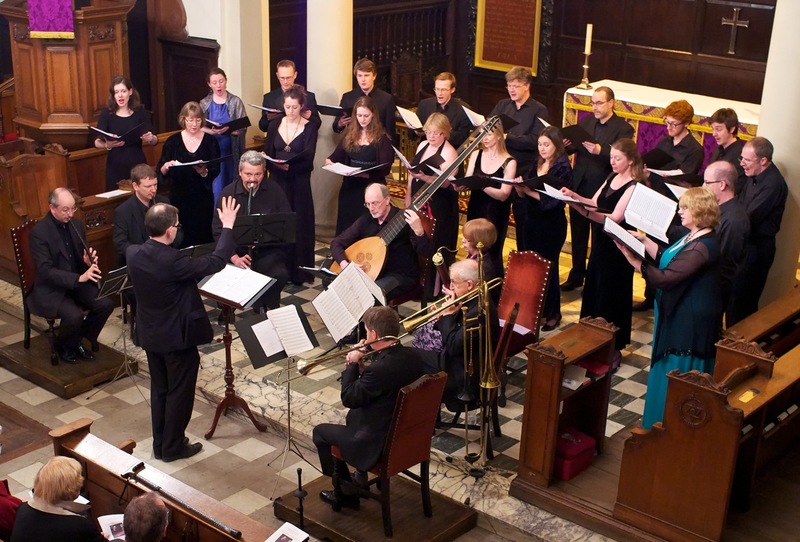 As part of the King Charles Festival - a weekend commemorating the execution of Charles I on 30 January 1647 - we are delighted to host a programme of songs and lute music by William and Henry Lawes, John Jenkins, Nicholas Lanier, Claudio Monteverdi and Henry Purcell, featuring Giovanni Carissimi's passionate cantata "The Lament of Mary Stuart". 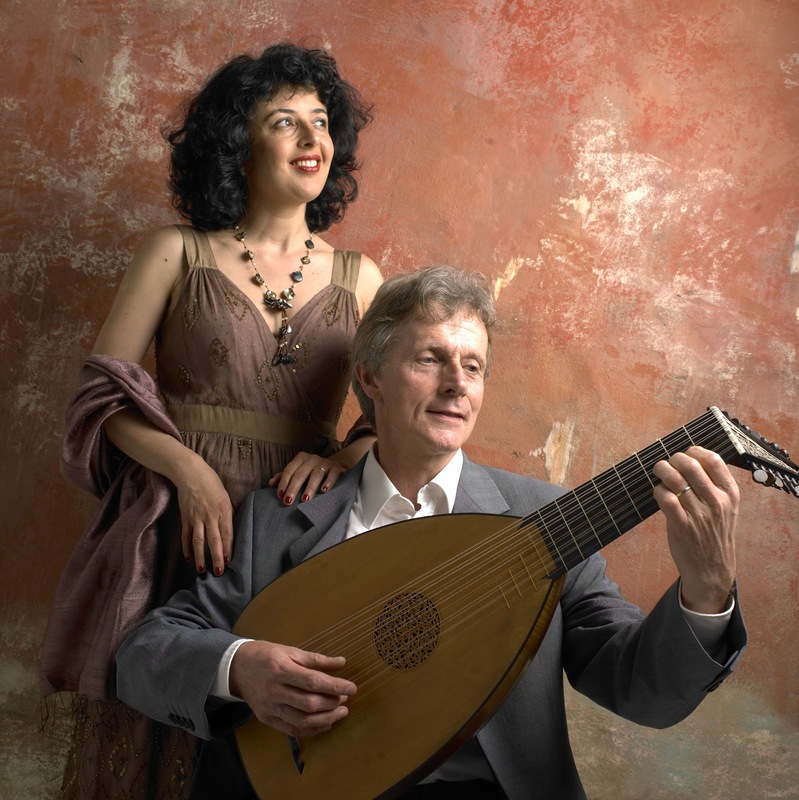 The concert is presented by Etrusca: Alessandra Testai, soprano, and Robin Jeffrey, lutes. Tickets: £12 on the door, or £10 in advance. Email kcmconcerts@blueyonder.co.uk or visit Hall's bookshop after 5th January. Under-18s are FREE. Dead things with inbreathed sense abe to pierce..."
Saturday 10 November sees Music at King Charles' third annual Youth Music Showcase, in which talented youngsters from the area have an opportunity to perform in the concert series. It's especially for those who might be considering taking their studies further than school, or those who are just moving on to university or music college. The event has proved most rewarding for all concerned, and inevitably involves an entertainingly diverse programme. The concert starts at 7:30pm, tickets costing just £10 on the door. Our final concert of the season is then the organ recital given by Jonathan Hagger, on 25 November at 5:30pm (free, with a retiring collection). 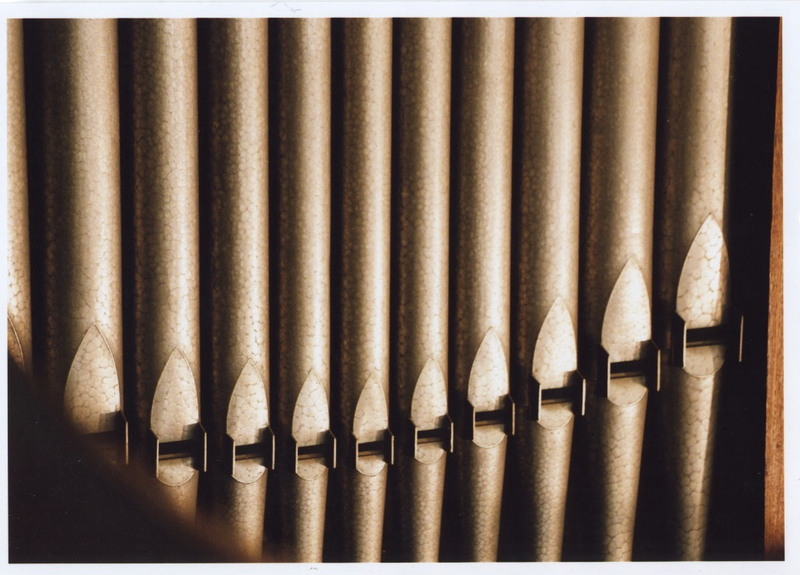 These notes are provided by Michael Bacon, who is the organist for a performance of Duruflé's Requiem at King Charles for All Soul's, this Sunday at 6:30pm. This is a devotional performance in the church's calendar, with no entry charge. 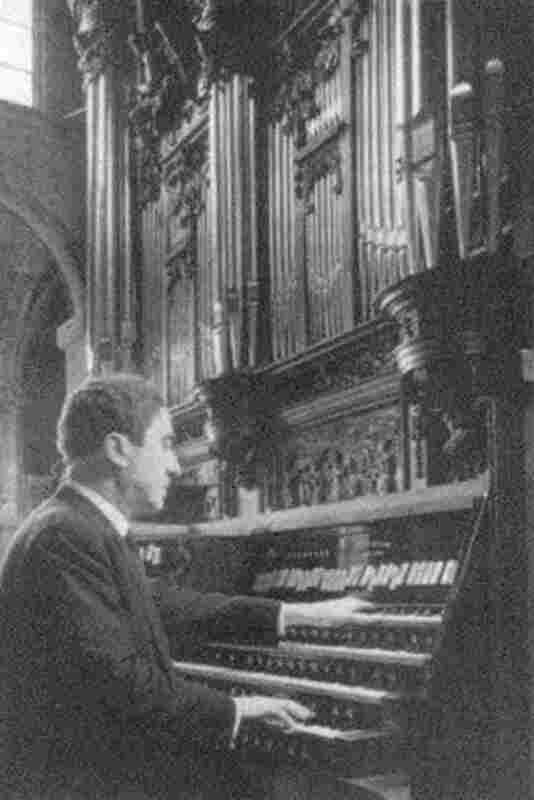 Maurice Duruflé (1902-1986) gained his love of organ music and Gregorian chant while he was a boy in the Cathedral Choir at Rouen. He studied at the Paris Conservatoire before becoming Charles Tournemire’s Assistant Organist at S. Clotilde and he also deputised for Louis Vierne at Notre Dame. In 1930 he was appointed Organist at S. Etienne-du-Mont in Paris, where he remained until his health was ruined in a serious car accident in 1975. Duruflé was Professor of Harmony of the Conservatoire from 1942-1969 and in great demand as a solo virtuoso, touring Europe and the USA many times. 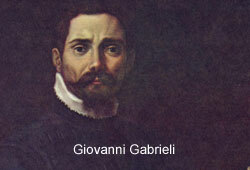 As a composer he was highly self-critical and published very few pieces, every one a superbly written model of its kind. Although he admired his more progressive contemporaries, such as Olivier Messiaen, Duruflé was an ‘innovative traditionalist’, using old forms and ideas and relatively conventional harmonies. Like most French organists, plainsong was the foundation of his style, and he would have spent many hours improvising on it during Mass. The Requiem was written over three long holidays, while Duruflé spent time with his mother in Louvier after his father’s death in 1945. He had for many years been working on an idea for a set of pieces based on the plainsong for the Mass of the Dead, and it was while working on these that he gradually heard the vocal lines above them. The piece was published in 1947 in two versions: one using full orchestra and another with organ accompaniment (there is also a later version for smaller orchestra). There are striking similarities with Fauré’s Requiem – a meditative piece which plays down more wrathful aspects (unlike Verdi, and his cataclysmic Dies Irae) – and both end with a very beautiful setting of the In Paradisum from the Burial Service. ‘My Requiem … is entirely composed on Gregorian themes from the Mass of the Dead. At times I have entirely followed the text, with the orchestral part only coming in to support or comment. 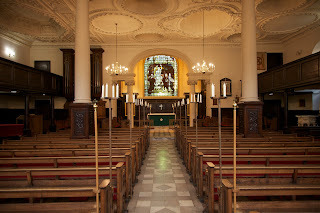 At other places I have only used it as a guide, or even left it out altogether – as for example in the Domine Jesu Christe, the Sanctus and the Libera Me. As a general rule, I have above all tried to feel deeply the particular style of the Gregorian themes: and I have done my best to reconcile as far as possible the Gregorian rhythmic patterns, as fixed by the Benedictines of Solesmes, with the demands of the modern bar structure. 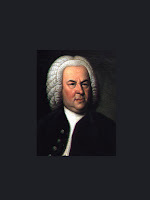 As for the musical form of each of these pieces, it is generally inspired by the relevant liturgical form. This is a reprise of a recent concert they have staged, and it promises to be great fun! 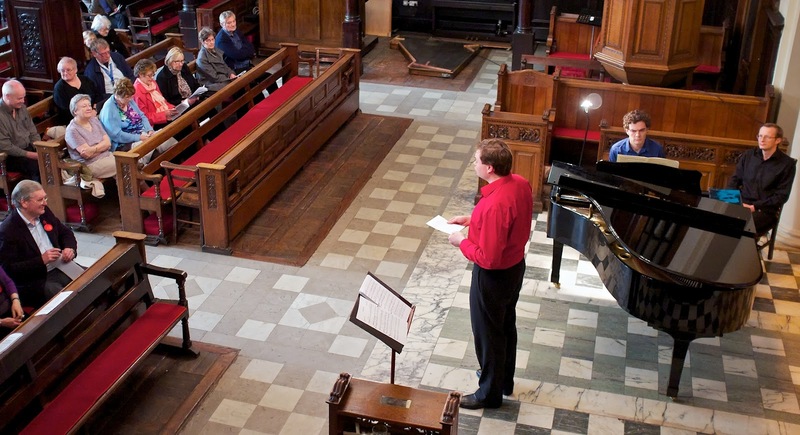 Andrew Hanley studied music at Bristol University, specializing in 17th-century English music and organ performance. As an academic his work has appeared in several publications, including Dictionary of National Biography and New Grove Dictionary of Music and Musicians. For his MA (Mus) he specialised in the music of a rather obscure 17th-century English composer, Richard Mico. Andrew has been a church organist since the age of 14, and is currently Director of Music at All Saints, Langton Green. By profession, he is a music publisher, currently head of publishing at Edition Peters - before this he worked for the publishing division of Boosey & Hawkes. 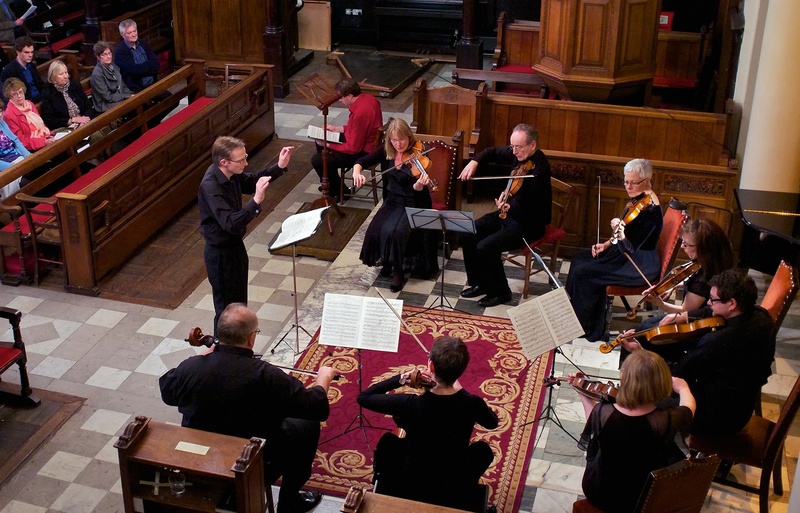 His programme will feature baroque, and baroque-influenced music, ranging from Bach to Langlais. Luke is a very promising young player, currently organ scholar at Worth School, Sussex, where he studies both organ and piano. He began learning the piano when he was seven years old and the organ four years later. He has played various concerts at school and elsewhere on piano and organ - a recent highlight being a performance of the Saint-Saëns Organ Symphony in Worth Abbey. 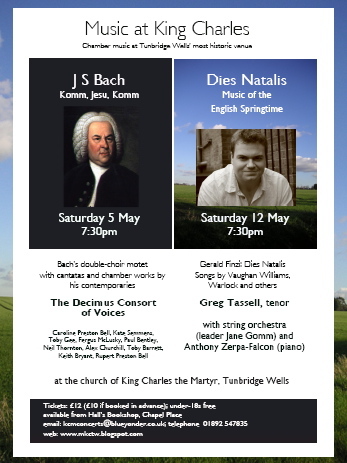 His programme will include music by Bach, Vierne and Howells. Jonathan Hagger, has been playing for services at KCM for more than 20 years, gained his ARCM under Richard Popplewell (St Michael's Cornhill and Chapel Royal). He and his wife Anne met when she joined his church choir when they lived in Essex. He has played organs as far apart as Sydney Town Hall and Washington Anglican Cathedral but his favourite instrument is St Sulpice in Paris where he met the celebrated organist Marcel Dupré on several occasions. His programme will start with a festive section, which will include the popular March from Scipio by Handel. The second half will be more meditative and feature a Mozart clock piece originally unearthed by Gillian Weir and copied by hand for Jonathan, Messiaen's timeless Banquet Céleste, one of Dupré's vespers and the Pie Jesu from the Requiem by Fauré. 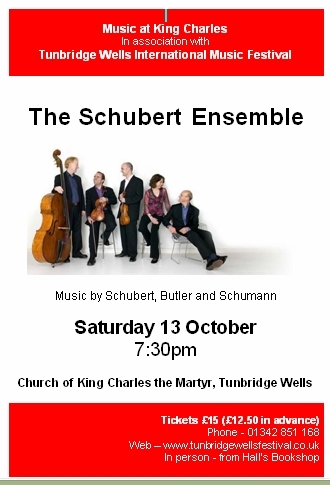 The Archaeus Quartet will be performing as part of the “Music at King Charles” Autumn Chamber Music Series on Saturday 15th September. This firmly established group will be playing a late work by Haydn, overflowing with melody and musical invention; a group of “Cypresses” by the youthful and impetuous Dvorak: love songs of the utmost tenderness; and the dramatic and exciting “Rasumovsky” op.59 no.2 by Beethoven. An evening’s music making not to be missed! We're very grateful to Peter and all the staff at Hall's Bookshop for being a point of sale for tickets to Music at King Charles. You'll find Hall's right next to the church, so next time you are passing you will be able to pick up some tickets from there. Otherwise, just email us at kcmconcerts@blueyonder.co.uk to place your order. The next concert is on 15 September. See: details of all this season's concerts. Looking back over the past few years, we're very proud of the array of talent involved in Music at King Charles. Here is a list of people who have performed here in the last six years. This year's concerts promise to continue the tradition! 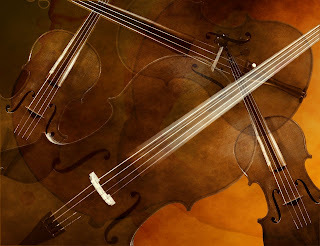 Booking is now open for the Autumn concert series, 2012. Four top chamber music concerts for just £35. 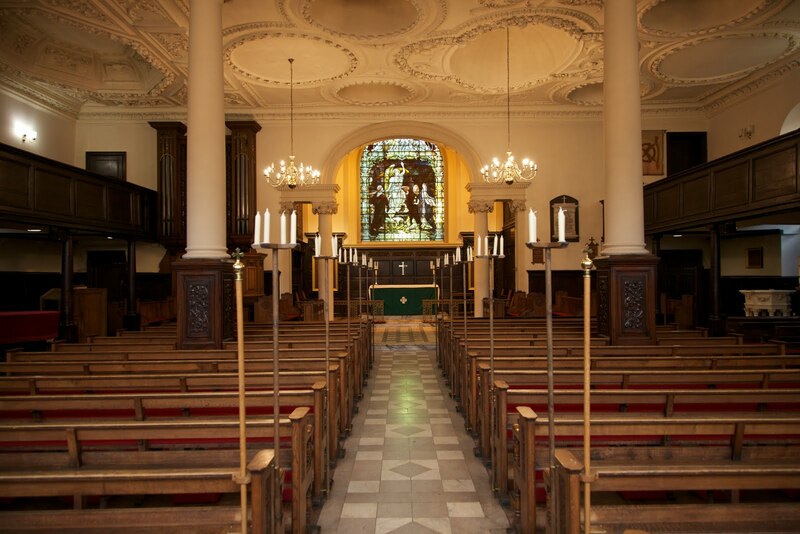 Three organ recitals with free entry and retiring collection. The first concert is on 15 September. 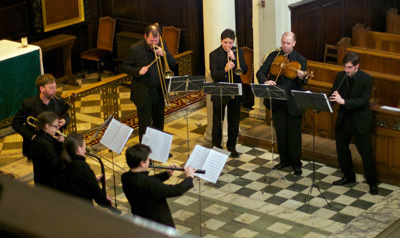 After celebrating the 400th anniversary of the death of Giovanni Gabrieli earlier this year, the Autumn series at Music at King Charles features a range of highly acclaimed chamber music specialists. In 2011, the music series was honoured by the Tunbridge Wells International Music Festival with an award for its contribution to the musical life of the area, and we continue to work with the Festival, hosting their opening concert in October. In this short season of concerts, we feature every number of performers from one to five: solo organists, duos, a piano trio, a string quartet and a piano quintet. We are very pleased to repeat our very successful Young Musicians' Showcase, for which we welcome the very best of the region’s young talent, providing a genuine performing opportunity for gifted youngsters, especially those who may be considering music as a career. Booking for all four concerts in advance is £14 cheaper than paying on the door. To order tickets, email us at kcmconcerts@blueyonder.co.uk. 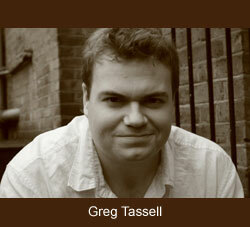 Pictures of the latest concert, Dies Natalis, with Greg Tassell singing and Anthony Zerpa-Falcon at the piano. Greg Tassell is a past winner of the John Kerr Award for English Song, and is quickly coming to nationwide prominence as an expert interpreter of English music. In this concert, we are very excited to be bringing Greg together with other well-known local artists for the first time. The main work is the secular cantata Dies Natalis by the 20th century English composer Gerald Finzi, for tenor soloist and string orchestra. This is a tremendously evocative setting of texts by Thomas Traherne about the wonder of the natural world and the innocence of youth. Writing in the seventeenth century, Traherne was one of the second generation of 'Metaphysical' poets, after the better-known George Herbert and John Donne. His most famous lines seem to strike a chord with everyone who reads them, and are given special prominence in Finzi's setting: "I was a stranger, which at my entrance into the world was saluted and surrounded with innumerable joys; my knowledge was divine. I was entertain'd like an angel with the works of God in their splendour and glory... The corn was orient and immortal wheat, which never should be reap'd nor was ever sown. I thought it had stood from everlasting to everlasting." Tickets for this concert are just £12 on the door, but you can also gain a discount by booking in advance. 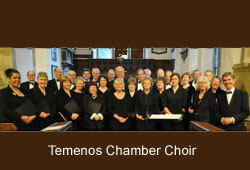 Simply email kcmconcerts@blueyonder.co.uk or visit Hall's Bookshop, next to the church. 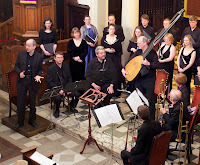 It's just a month to go now until the second of our Gabrieli concerts, From Venice to Dresden, on Sunday 18th March, performed by the Cambridge Taverner Choir with a fabulous group of Baroque instrumentalists. The choir recently celebrated its 25th anniversary, with a concert in the Cambridge Summer Festival. The picture shows the them rehearsing for a performance of Monteverdi's Vespers, in the chapel of Trinity College, Cambridge, in 2008. Thanks to the devoted librarianship of its Secretary, every performance the choir has given can be reviewed online in the choir archive. 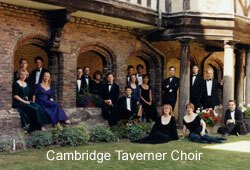 A founding principle of the Cambridge Taverner Choir has been to apply academic rigour and historical context to all performances. The very first concert took place in Tattershall church in Lincolnshire, and featured a reconstruction of a complete mass with the Missa Gloria Tibi Trinitas by John Taverner, who was a member of the college at Tattershall in the early sixteenth century. The choir's director, Dr Owen Rees, is now Fellow and Director of Music at The Queen’s College, Oxford. Together, he and the choir have released four recordings. 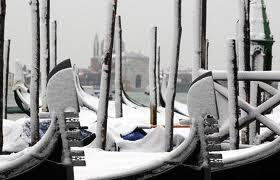 A further CD, of music by Monteverdi, will come out later this year. The first flakes of the promised snow fell as the choir and instrumentalists made their way into church for last night's concert. Thankfully, not too many people seemed to have opted to stay at home, and the church was full with an expectant and enthusiastic audience! Many thanks to Charles Vignoles, the Temenos Chamber Choir, and the English Cornett and Sackbut Ensemble for a vigorous and joyful rendition of one, two, three and four-choir motets, madrigals and instrumental canzonas to celebrate Gabrieli. 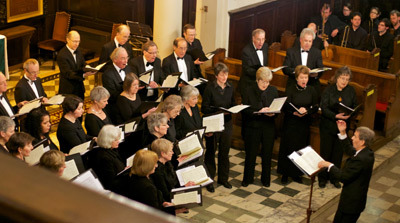 The choir has many years' experience of singing early music, which was evident in the confidence and intelligence of their performance. In the slightly dated copies of one of the motets, the editor Denis Stevens, writing in 1970, noted that "problems of balance inevitably occur when modern brass instruments are substituted for the composer's cornetti and trombones, which in his day and age had a relatively soft and soothing tone". Thankfully, nowadays it is not necessary to follow Stevens' recommendation of deploying oboes instead! 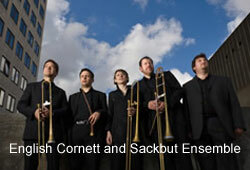 The English Sackbut and Cornett Ensemble are one of the country's foremost exponents of early Baroque music, and they brought with them a full band - cornetts, a 'lizard' (a longer, alto cornett, so called because of its double-curved shape), alto, tenor and bass sackbuts (trombones), violin and viola, curtal (a precursor to the bassoon) and organ, which was played magnificently by Duncan Aspden. An ensemble of much the same instruments will be present for the second of our Gabrieli concerts, on 18 March, From Venice to Dresden. 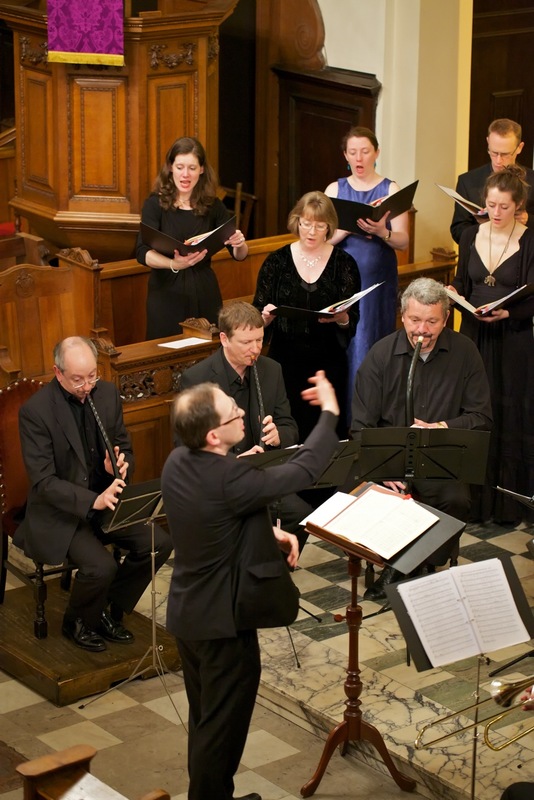 They will accompany the Cambridge Taverner Choir in music by Gabrieli and Schütz. If you attended or missed the first concert, we are delighted to offer you a second chance to be immersed in the music of this glorious period. Discounts are available for early booking.